PT Pos Logistik Indonesia - POSLOG or referred to as "POS Logistics" is a rapid expanding company in Indonesia, running business in logistic and supply chain industry. Its business include transportation and warehousing services, delivery of cargo, and the regulated agent or dealer inspection. 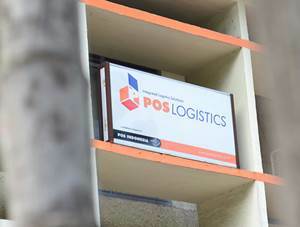 POS Logistics is a strategic business subsidiary company of PT Pos Indonesia (Persero) or Pos Indonesia Group, the largest state-owned postal and logistic services companies in Indonesia. PT Pos Logistik Indonesia was first established in 2004 and initially started as business project of Pos Indonesia Group. Later in 2007, the business project has developed into strategic business unit (SBU) of Pos Indonesia Group. In 2013, PT Pos Logistik Indonesia was officially established as a separate legal entity. Headquartered in Jakarta, POS Logistics now supported by 14 office networks and 37 warehouse spread across Indonesia. In term of financial performance, PT Pos Logistik Indonesia managed to strengthen its financial performance in 2014. According to PT Pos Indonesia (Persero) Annual Report 2014 as quoted by JobsCDC.com, POS Logistics managed to record a total logistic revenue of Rp 202.42 billion in 2014 at the end of 2014 or equal to an increase of around 13.31% compared to the previous year. The Company's total net profit in 2014 amounted to Rp 3.69 billion or 61.12% growth as compared with Rp2.29 billion in 2013. Background in Bachelor Degree (S1) from Information Technology and Information System. Holds around 3-4 years of experience in the related foeld. Strong knowledge of application and database and programming language (PHP, C#, .Net). Have skills in web services description language (ASMX, WSDL, JASON, XML, web hook). Strong communication skills in a must in order to provide support to users. Highly motivated, active, passionate, initiative, eager to learn. Able to work well independently or in a team. JobsCDC.com now available on android device. Download now on Google Play here. Please be aware of recruitment fraud. The entire stage of this selection process is free of charge. PT Pos Logistik Indonesia - Recruitment Analyst POS Logistics Pos Indonesia Group October 2016 will never ask for fees or upfront payments for any purposes during the recruitment process such as transportation and accommodation.